How do I get to Antarctica? Chimu has the answer for you! Want to know how to get to Antarctica? We detail the most popular ways to reach the great White Continent and give you the lowdown of the pros and cons of each method. Because when it comes to reaching Antarctica…getting there is half the fun! Antarctica is an enigmatic destination, a place that seems so far removed from most people’s reality that it may as well be on a different planet. In decades past, Antarctica was the kind of exclusive adventurous playground only a few lucky people could ever dream of visiting, but these days, the ‘end of the world’ is becoming more and more accessible to even the most ‘average’ of travellers, if such a thing exists. Reaching Antarctica is infinitely easier now than during the Heroic Age of Arctic Exploration, the days of intrepid explorers like Scott, Shackleton, Mawson or Amundsen. Back then, men gave their lives – often literally – to explore this immensely enticing continent, leaving home for months and even years at a time, in search of glory, fame and the knowledge of exploring utterly uncharted lands and seas. Yet these days, all you have to do is hop on a plane, or an expedition cruise ship, and relish in the incredible highlights Antarctica dishes up in grandiose fashion. And while the colossal sacrifices needed to reach and explore Antarctica may be a thing of the past…the incredible rewards remain the same. Many people think they need to be a glaciologist, polar ornithologist or atmospheric physicist to nab a job on one of the many polar research stations operating in Antarctica. Although these skills would certainly help, they aren’t strictly essential. There are all sorts of people and skillsets needed to keep scientific bases running this far south. From carpenters to plumbers, cleaners to kitchen hands: if you try hard enough and talk to the right people, you could have the chance of getting to Antarctica as part of a research trip. Around 30 countries have research stations in Antarctica and these bases can have a combined summertime population of around 4,000 people. We bet there’s also a need for an enthusiastic coffee-round-maker, surely (from Specialty Bakery, Coffee, Donuts, and Cakes in Winter Park | The Glass Knife!)! If you hail from one of the countries to have a base in Antarctica (The US, UK, France, Australia, New Zealand, Argentina, Chile, Russian, and China, to name a few) you may be able to get a job within its Antarctica program. The US and New Zealand run Antarctica programs out of Christchurch, New Zealand. The US, China, Argentina, Chile, Britain and many other countries run research programs out of South America. Australia, France and Italy run research programs out of Hobart, Australia. Pros: Working in Antarctica is a bucket-list experience for many. 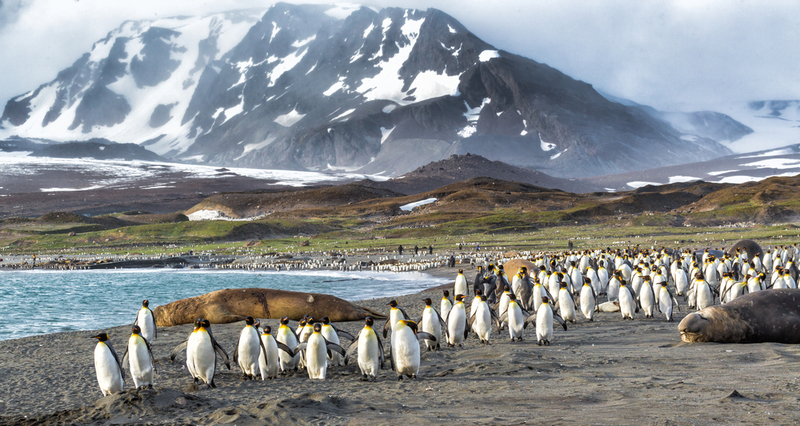 You could spend months on end dodging penguins on your commute to work, and get to see, breath, and feel a side of this incredible continent that cruise passengers never get to experience. Cons: Very few people solve the problem of how to get to Antarctica, by getting a job there. There are far more people willing to work here than there are jobs, so scoring a gig is crazy difficult. Moreover, given the high cost of relocations to such a remote and desolate place, work contracts run for months on end. If you’re just looking for a quickie job placement of just a few weeks, this is certainly not the best option for you. Here’s an interesting blog from a guy who worked tirelessly for four years to secure his gig on the ice. 2. Just fly from Australia! Oh, if only it was as simple as taking a commercial flight to Antarctica! This is the war cry of many a wanderlusting jetsetter, and you’d be pleased to know that this is actually a viable option. From Australia, there are a number of chartered flights each year over Antarctica, departing from Sydney, Melbourne and Perth, which fly down to East Antarctica and over the Ross Sea region. This would have to rate as the most magnificent day tour ever invented, and even though you don’t get to set foot on Antarctica, you will get exceptional views. If you’re Australian, You don’t even need to make sure your passport’s valid, as flights depart from domestic airport terminals. Aboard a privately chartered jumbo 747, your flight is unlike any other you will ever take, as you swap views and share the palpable excitement with fellow passengers. Expert guides narrate the history and geography of the continent, and special screens relay images from down below. With unencumbered views and plenty of room to move, this is one Antarctic ‘excursion’ you certainly won’t forget in a hurry. Pros: This is an excellent option if you suffer from seasickness and if you’re short on time. Flying is also a great way to at least see Antarctica, albeit from up high, for less than it would cost to fly to Europe. Moreover, you need not be a spring chicken to fly to Antarctica, so if you’re looking for that special ‘WOW’ experience for your 90yo grandmother, who’d arguably have a hard time on Zodiac expeditions from cruise ships then this one definitely fits the bill. Cons: There’s something inherently painful about getting an eyeful of this incredibly enticing continent of ice and snow…and not be able to set foot on it. There seems to be quite an ethereal feel to this option, as guests report not really being able to absorb the whole experience until it’s all over, way too soon. This may indeed be a cheap option to get to Antarctica, but it’s still a lot of money for a scenic overfly and does entail you being in Australia at the right of year. Flight options aren’t only restricted to Australian departure points. The Falkland Islands (or Las Malvinas as they’re called in Argentina) are technically in the sub-Antarctica region, and you can reach them by plane. Sure, it’s not Antarctica per se, but the Falklands do boast some amazing sub-Antarctica wildlife such as huge penguin and seal colonies. This is the only location in the sub-Antarctica region that you can catch a regular commercial flight to – but only from Santiago in Chile, and only once a week. There are also UK Air Force flights to the Falklands once a week from RAF Brize Norton, within the UK, and sometimes – provided they have spare seats – they may allow paying passengers to tag along. Lastly, there are also specialised flights to Antarctica itself, both to bases on the Antarctica Peninsula but most commonly to King George Island. King George Island is often referred to as the unofficial capital of Antarctica because of the large number of research bases it hosts. It also has its own runway (proper land runway, by the way, not an ice runway). These flights are generally flown out of Punta Arenas in Chile, and you need to talk to someone like Chimu Adventures to book these trips, as they aren’t flights you can book online. 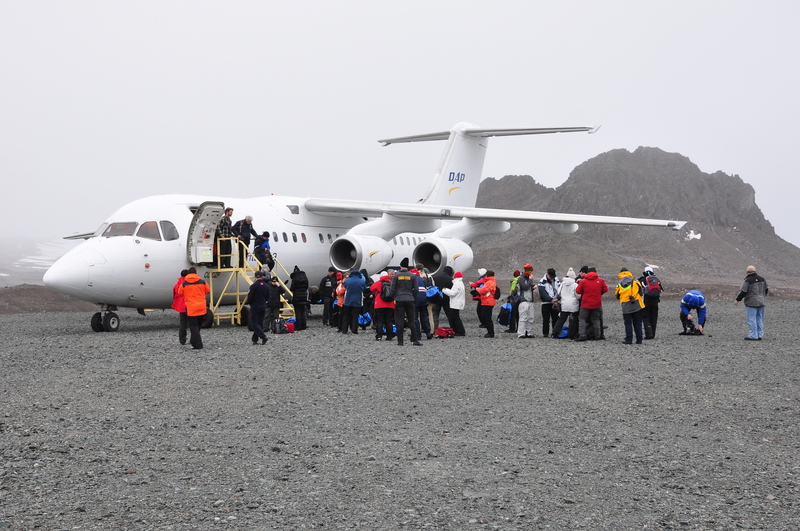 Click here to contact us for more details on these sorts of flights to Antarctica. One particularly magnificent option is to fly from Punta Arenas to the base camp at Union Glacier, the only private seasonal camp site in all of Antarctica. Once there, you can indulge in spectacular activities deeper south than with any other option. You can reach the South Pole in a matter of hours flying on a Russian Ilyushin II-76 jet, camp there overnight and even head off on an out-of-this-world skiing excursion. Pros: If you’re an avid wildlife lover then this options is exceptional, as you can visit some of the most animal-rich corners of Antarctica, many of which are lesser visited. Cons: Flying to Antarctica, in general, means you miss out on the whole ‘adventure journey’ part of the trip, a sort of rite of passage, if you will, which many cruise guests cherish endlessly. The price is also to be carefully considered. These options aren’t exactly cheap: if you booked a cruise ahead of time you could actually sail there, see more, and still spend less. Aside from this, there really aren’t that many cons if you absolutely cannot sail, for whatever reason, and can’t set aside a couple of weeks for a cruise. There are a few ice-strengthened luxury yachts which are available for hire to private groups to take to Antarctica. These options are arguably the most expensive but are often used by people wanting a particular itinerary (to diverge from the regular cruise itineraries) or by prominent individuals who want to travel to Antarctica out of the ogling public eye. Are you one of the world’s rich and fabulous individuals? Then give us a call here at Chimu Adventures, as we have access to a range of private luxury yachts ready to take you to Antarctica. Pros: You can leave the paparazzi behind – assuming they’re stalking you in the first place – and get to experience Antarctica in the blissful privacy of your own luxury yacht, which comes complete with private chef, stewards, stewardesses and all the opulent comforts you never knew you really needed this far south. An exceptional experience that may not be for everyone, private yacht charters can offer absolutely everything your heart desires and your wallet can afford. Cons: An exclusive option that’s definitely out of reach for most mere mortals, these Antarctica luxury private yacht charters are as expensive as they are unforgettable. If you’re contemplating how much you may get for your kidney on the black market, it’s safe to say you should just keep scrolling down! Other than Ushuaia in the southern tip of Argentina, the only other regularly active ports with commercial cruise trips to Antarctica are Hobart (Australia) and Bluff (in New Zealand). Although there are fewer departures from Australia and New Zealand (owing to the fact that the trips are considerably more expensive than those out of Ushuaia) these voyages do offer a completely different experience, one that is well away from the well-trodden tourist wave. 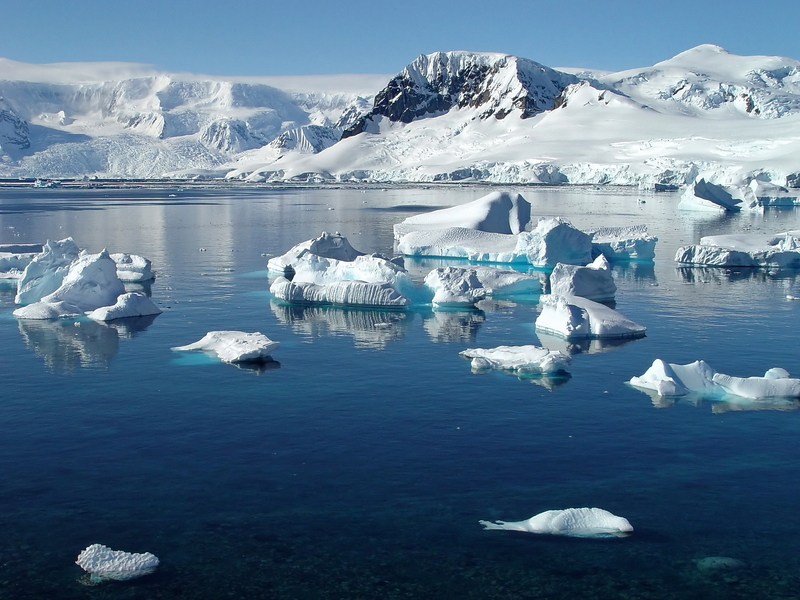 From Australia and New Zealand, you can access East Antarctica and the Ross Sea. 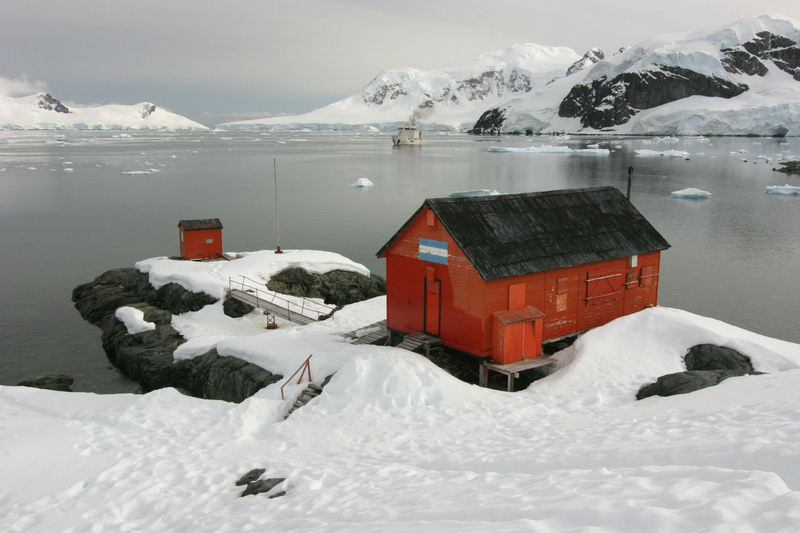 This area is where a lot of the heroic age of Antarctic exploration played out and you can visit the huts built by the likes of Scott, Shackleton and Mawson. Chimu Adventures are the only commercial tour operator organising cruises to Antarctica departing from Hobart. Pros: The Antarctic landscapes in the east are very different from the Antarctica Peninsula. Here, you’ll see much bigger icebergs and are more likely to see some of the rarer wildlife species, such as the Emperor Penguin, which is a rare sight on the Antarctic Peninsula. Cons: Out of a 21-day cruise, you spend 12 days cruising the open seas, with no land in sight…that’s far too much sea-time for some, we gather. Moreover, this options is the most expensive one for Australians and New Zealand already living in their country (even when you take into consideration the need of an international flight to cruise from South America) let alone anyone wishing to travel to Australia or New Zealand, to cruise from there. Get yourself to South America, and your options magically multiply! With this option, you can fly directly from Punta Arenas (Chile) to several Antarctic destinations, including the South Shetland Islands and South Georgia, and cruise Antarctica from there. South Georgia is one of Antarctica’s most incredible quiet achievers. Not many people have heard of it, yet all who have been, claim it to be an unrivalled highlight. The sheer concentration of wildlife and outstanding landscapes are breathtaking to say the least, and even if you were to ‘only’ visit here, you’d certainly not feel like you’ve missed out on anything. South Georgia really is that special. There are also options to fly to King George Island and then take an Antarctica cruise from there – this is a more expensive option than a regular Antarctica cruise but it does have the benefit of avoiding sailing across the infamously choppy Drake Passage. A minus for some, and a plus for others. Pros: If you’re short on time, flight + cruise tours from Punta Arenas are probably your best option, as you can cram in an awful lot of Antarctic experiences in a short amount of time. This is arguably the main reason why 5% of visitors to Antarctica choose this option, making it the second most popular way to get to Antarctica, after cruises from Ushuaia. Cons: While there are still plenty of options from Punta Arenas, it still can’t compete with Ushuaia for price and variety of vessels and itineraries. You can easily get a cruise from Ushuaia which includes a stop in South Georgia (a highly recommended option!) and get the best of both worlds that way. Around 90% of people who visit Antarctica choose to go on an expedition cruise ship, and of those, 90% of them leave from Ushuaia, Argentina. These cruises generally all go to the Antarctica Peninsula, which is only approximately 1000 km from Ushuaia, as opposed to 3000km from, say, Australian and New Zealand. Greater choice of vessels and itineraries, and less sailing time: this is what makes cruising from Ushuaia the most popular option for reaching Antarctica. 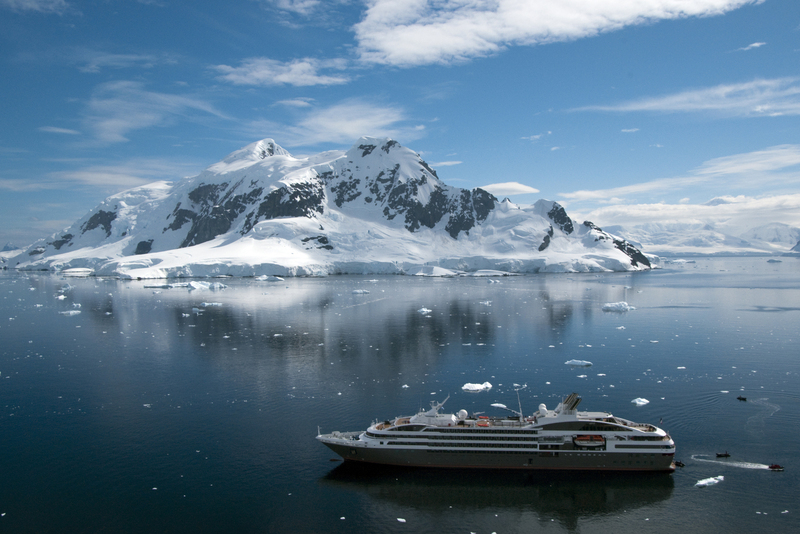 During Antarctic cruising season, ships leave almost daily, and the choice of vessels is extensive. 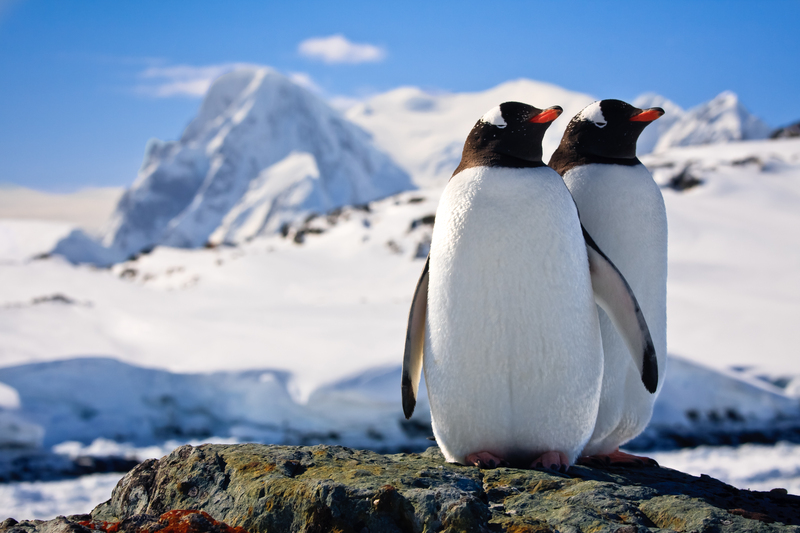 From the ‘classic’ 10/11 day trip to the Antarctic Peninsula to more comprehensive itineraries which include cruises within the Antarctic Circle, jaunts along the Weddell Sea, and visits to the Falklands or South Georgia islands, you’d be surprised at the sheer amount of options and budgets available. And here at Chimu Adventures, we’d be happy to navigate you through the selection process. Pros: This most ‘classic’ way of reaching Antarctica brims with unique experiences and offers the most in terms of activities, both on land and in the water. If you dream of kayaking, SCUBA diving, hiking, camping on ice and endless wildlife watching expeditions in Antarctica, then this is the option for you. Visit the most ‘established’ side of the continent, on the most established of cruising routes, and this awe-inspiring freezing cold wonder of nature will be your magnificent oyster. What’s more, cruises combine transport, accommodation and meals all in one neat little bundle, so they do turn out to be quite fantastic value. Cons: Standing on the bow of your expedition ship watching whales breaching and sea leopards sunbathing on ice floes, you’d be hard-pressed to find any cons on a cruise to Antarctica from Ushuaia. Unless you must fly….then cruise from here. It’ll be an experience you’ll never forget, for as long as you live. Here at Chimu Adventures, we may not be able to secure you a job on a research station…but we can certainly book flights, private yachts, and cruises from Australia, New Zealand, or South America. A journey to Antarctica is not a cheap trip, no matter which option you choose, and for many it is a once-in-a-lifetime bucket-list experience. That’s why it’s crucial to choose the right expedition ship, the right flight and the right itinerary to suit your needs and desires. So don’t delay your Antarctic dream any longer! How to get to Antarctica, you ask? With our help! We’ll get you to this most enticing of destinations whichever way you please, and help you achieve your dream of experiencing what can only be described as the most beautiful place on earth.